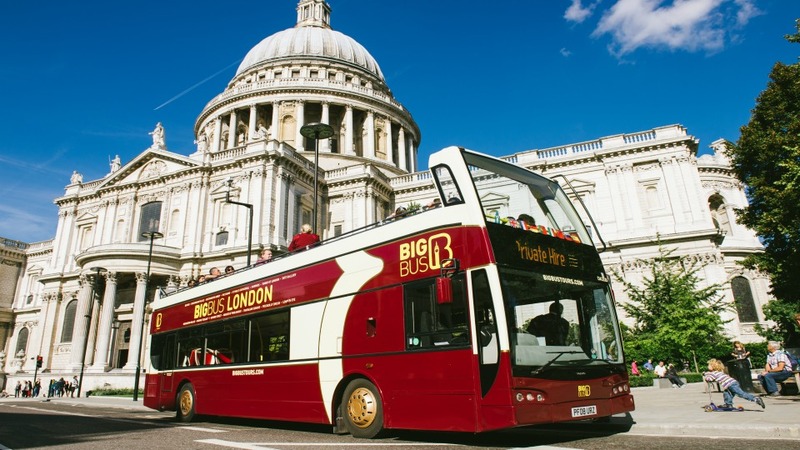 Discover a convenient way to explore London with a ride onboard the comfortable and informative Big Bus Tour. The day tour features stops at 50 iconic sites and neighborhoods, allowing passengers to easily hop off and enjoy the area before hopping back on the next bus, and continuing their guided expedition. Live and recorded commentary are both available, and visitors will cruise past a spellbinding array of attractions in the comfort of the climate-controlled lower level or the sunny upper deck of the classic two-story bus. Big Bus Tours also offers incredible night tours, (with 9 stops for riders who want to freedom to take a break and enjoy the surroundings), and free river cruises and walking tours are also available with the full Hop-on, Hop-off Bus Tour. 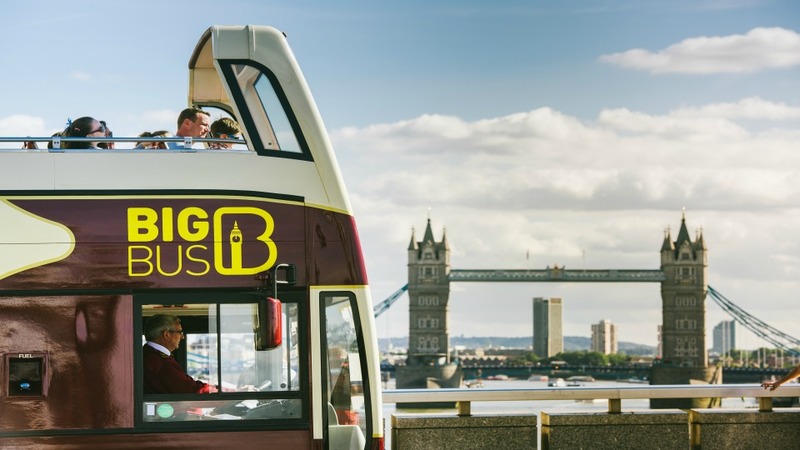 Enlightening and engaging, the Big Bus Tours are a perfect vehicle for visitors who want to discover all the London sites and neighborhoods that capture their attention, on their own flexible schedule. Day Tour busses depart from their first stop at 8.30 a.m. Last bus times vary depending on the time of year, and are typically 4:30 p.m. November through February, 5:00 p.m. March through October, and 6:00 p.m. April through September. The first Night Tour bus departs from Westminster at 7.30 p.m. and the last full-circuit tour departs at 8.30 p.m. from Westminster Bridge. Night tours have an approximate 2 hour, 45 minute duration. Passes are available for 1 day only, the Night Tour only, 24 hours, and 48 hours including the Night Tour. Ticket holders can hop on or hop off the Big Bus at any of 50 stops throughout the tour. 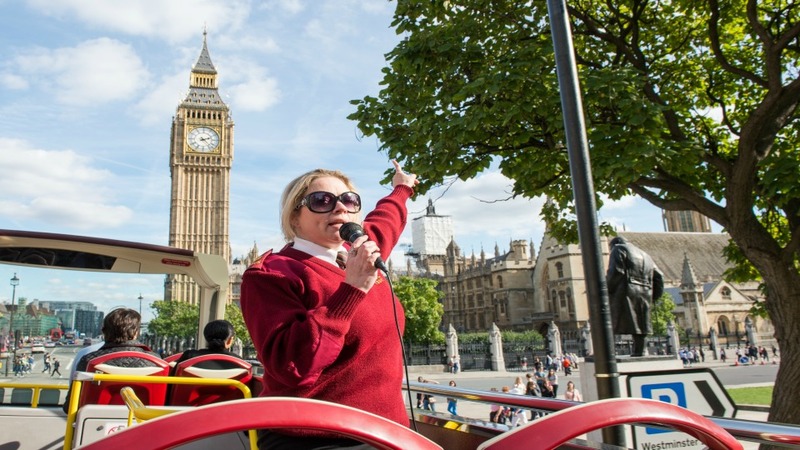 The Day Tour cruises by all of central London’s famed landmarks and features 50 stops where riders can hop off and look around. The Night Tour features 9 dedicated Night Tour stops where riders can hop off and explore at their leisure. Riders will have their choice of a live commentary delivered by an entertaining guide, or a recorded commentary. The recorded commentary is available in at least a dozen languages, and ear phones are provided. Tours operate rain or shine, and buses feature a covered lower level as well as an open-air top level. Discounts are available for seniors (60+), students with ID, and children ages 5-15. Children under 5 are free. 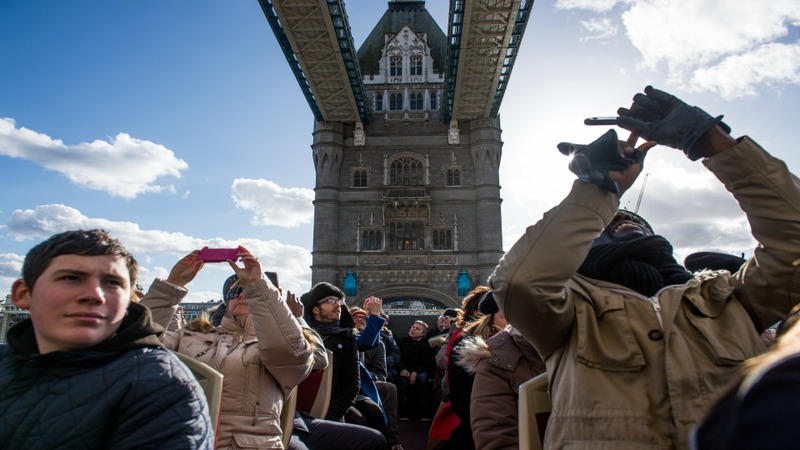 Free river cruises and free walking tours are also available in conjunction with the tour. Most busses are wheelchair accessible and children are welcome provided they are accompanied by an adult (for 15-year-old children and younger). Guests will be entitled to a full or partial refund if the company is unable to operate through circumstances within its control.